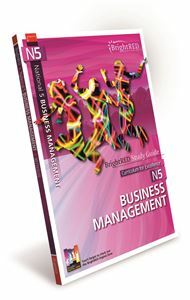 The SQA National Qualifications in Business Management develop learners' enterprise skills and attributes by providing them with opportunities to study a range of business and organisational contexts. Learners develop an awareness of the ways in which society relies on businesses and other organisations to satisfy its needs, and an understanding of how to use business information to interpret and report on overall business performance - in a range of contexts. Learners also gain knowledge and understanding of the impact that external influences have on organisations, such as economic impact and sustainability. 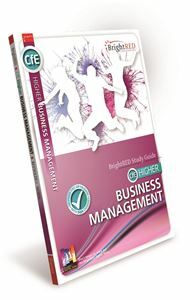 BrightRED Study Guides for the SQA National 5 and CfE Higher Business Management curriculums fully cover all three mandatory units and include a comprehensive Glossary or Index with relevant Case Studies. Both Study Guides are also supported with a wealth extra material, tests and links on the free Bright Red Digital Zone. 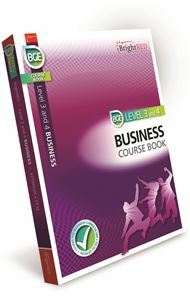 Covers all three SQA units with numerous Case Study activities. Up-to-date with the latest 2017 SQA course changes. Provides knowledge and practice to prepare you for your Higher assessments. Revised for 2018 SQA changes.